Ira White is a BMI songwriter who toured as a guitarist/singer/songwriter with professional groups along the east coast for 12 years before starting his first recording studio for personal and ministry projects. His guitar influences started with the likes of Santana, Al DiMeola, and Steve Howe (Yes), and progressed through Phil Keaggy, Larry Carlton, Eric Johnson, and Tommy Emmanuel. 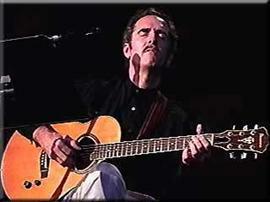 This variety of influences is evident in his acoustic and electric guitar work. In 1992, Ira set up his own audio and recording installation company, www.sanctuarysound.com. He continues to write and perform in addition to serving as a ministry sound director and associate worship leader with a church in Virginia Beach, Virginia. He does session guitar work, engineers independent recording projects, directs sound for TMCJ International theatrical productions, and recently served as fly-in engineer for the Paul Wilbur ""Lion Of Judah"" concert tour in the US and Central America. ""Road To Holiness"" is his first praise album. 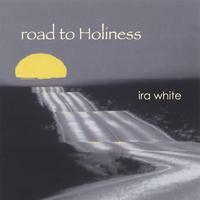 Road To Holiness includes original favorites Praise Him, Road To Holiness, and Casting Your Cares, plus a new solo acoustic guitar arrangement of the popular worship song As The Deer. The album is a representation of the stylistic freedom within the worship experience. From the rock-oriented ""When God is For Us"" to the intimacy of the acoustic instrumental ""Autumn Portrait"", the music is still from and for God. ""Praise Him"" is pure psalmist praise while the title cut, ""Road To Holiness"", speaks of the often rough but rewarding path of the spiritual journey. ""Casting Your Cares"" provides a soothing instrumental prayer, and ""Sing Of The Greatness"" closes the album with the exuberance of a live performance exclaiming God's greatness. All in all, it's a musical journey of testimony and proclamation. Ira has also authored two books: Audio Made Easy, an audio reference book published by Hal Leonard Publications since 1997, and Prophets To Planets: Religion and The Real World, a handbook on Christian worldview available through www.xlibris.com as well as major online booksellers. Ira lives in Portsmouth, Virginia with his wife Susan. In addition to all his musical ambitions, he enjoys traveling and scuba diving. An instrumental meditation for my trying moments, and a general encouragement to cast our cares and needs on God. Praise the Lord for giving so beautifull talents to His child. Good cheer brother. You are now on all my station. There is place also for you on my Podcast ( http://www.franckradio.podomatic.com) I would be happy to present you in a special episode to my listeners. Be bless brother. Franck It's a great pleasure to add you on my stations. * Your song 'Road To Holiness' has just been added to Mighty Fortress Stereo (Doristil's ) station! * Your song 'Road To Holiness' has just been added to LIVING WATER STEREO (Franck's) station! * Your song 'Road To Holiness' has just been added to Time With Christ station! * Your song 'Casting Your Cares' has just been added to A LIST station! * Your song 'Casting Your Cares' has just been added to RCEI Gospel Hits station! * Your song 'Road To Holiness' has just been added to LIVING WATER Radio (Franck DORISTIL's station! * Your song 'Road To Holiness' has just been added to RCEI Gospel Hits station!